Dr. Jennifer Rehage is a fish ecologist and Associate Professor at the Institute of Water and Environment at Florida International University in Miami, FL. Rehage received her Ph.D. from the University of Kentucky where she specialized in studying fish behavior. She went on to continue her education at the University of California-Davis and the US Geological Survey. She’s originally from Uruguay, where she grew up spending a lot of time at her grandfather’s fishing club. Rehage is an investigator in many studies involving water management and coastal fisheries, such as the National Science Foundation’s Florida Coastal Everglades Long-Term Ecological Research program. Studies in her research group focus on understanding how natural and human disturbances affect multiple aspects of the life of fish focusing on individuals, their behavior, and their interactions with anglers. 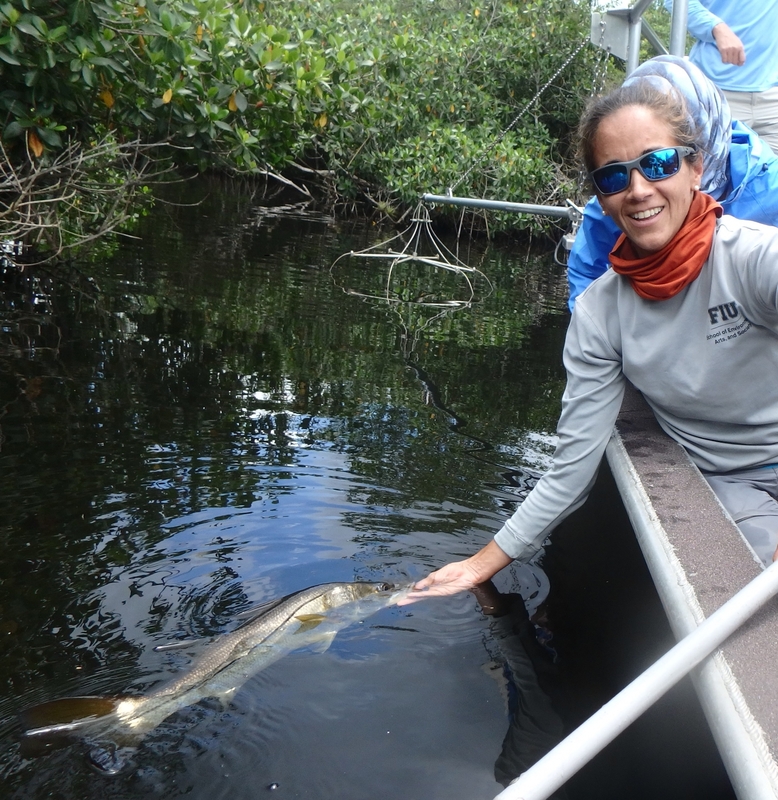 Over the past 15 years, Rehage has been studying how alterations to freshwater flows and related effects influence fish and the recreational fisheries they support in the Everglades and South Florida. Research has focused on snook, largemouth bass, nonnative fish species, and more recently bonefish and juvenile tarpon. Studies examine the interacting effects of natural flow regimes, climate, and management decisions on fish space use, distribution and populations, and involves recreational anglers, and local ecological (angler) knowledge. In partnership with BTT, the Rehage research group has been examining the decline of bonefish in South Florida, and most recently this involves examining the threat of pharmaceuticals and contaminants.